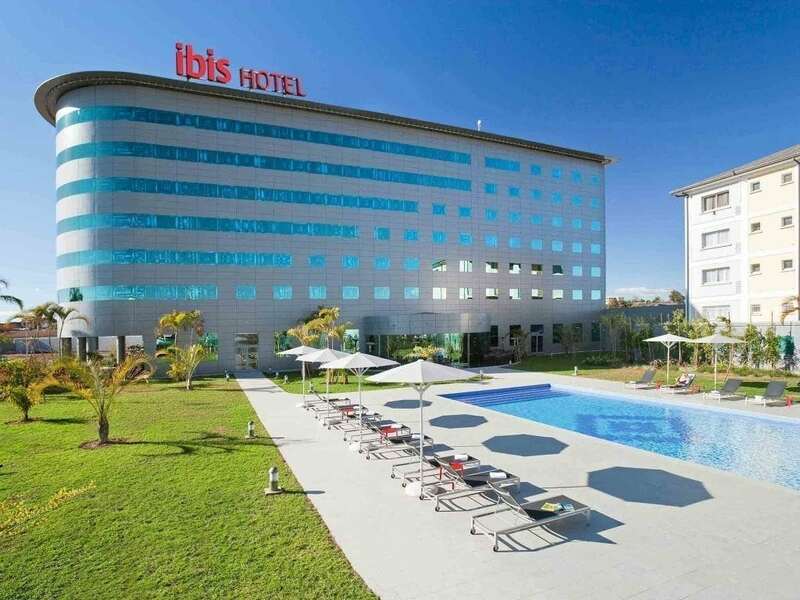 Accor, the European leader in hotels had just opened officially the Ibis hotel in Antananarivo which, for information is the 835th hotel managed by the group. This hotel is more than important to Antananarivo and travel agency in Madagascar, given that at the moment, tourism is booming. At the opening ceremony, the government of the High Authority of the transition was represented by its President, Rajoelina and the Prime minister, Monja Roindefo. Many other dignitaries were also identified as the general manager of Accor Africa, Indian Ocean and the Caribbean, Fabrice Manny and of course the real estate company Eden represented by Amirali and Samir Rajabaly. The location of the hotel is quite strategic as the premises is located 5 minutes from downtown and only 30 minutes from Ivato airport. So sitting in the business area of Ankorodrano, the hotel was built by the enterprises of the family Akbaraly and it had 174 rooms including 12 superior rooms and 24 rooms. It was designed according to international standards including hygiene, safety and environment at the example of the heat energy saving air conditioners or the presence of a gas pool heater. Comfort was not forsaken either, the facility was designed for a stay as pleasant as possible. Thus, each room has free flat-screen TV with media hub, cable TV channel and wired Internet connection. To distinguish itself from other establishment in the luxury hotel Madagascar, Ibis has developed a unique concept called ”Breakfast 8:00 Non-Stop” with two formulas: the early risers and late risers.